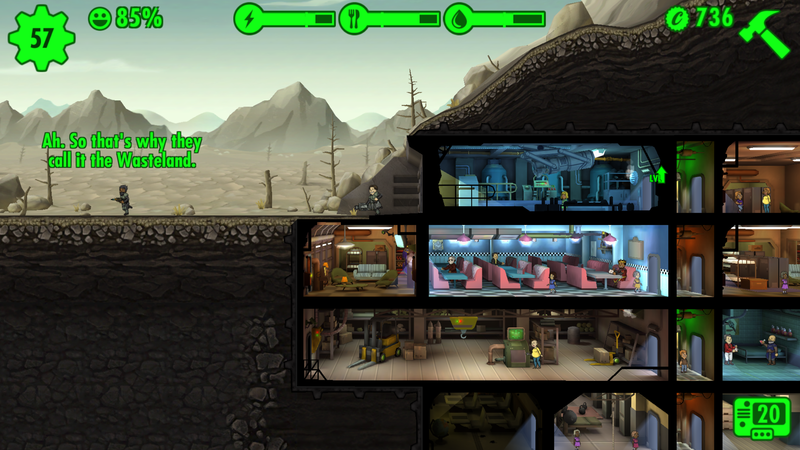 First let me start by say, all my dwellers are sick, but God I’m addicted to this game. It has the funniest little quirky moments. 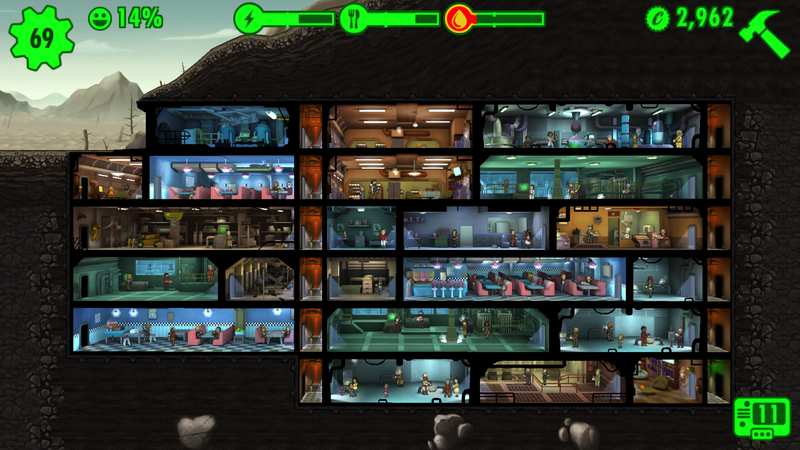 Everyone in my vault was happy for all of 2 hours before I had to go to work and now I feel like as an overseer I have failed my peeps. EVERYONE IS SICK, I didn’t have enough water so they are all SICK!! 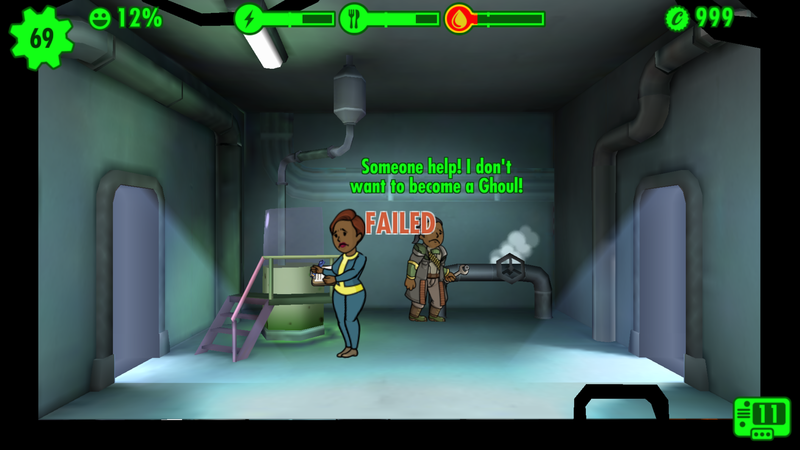 Sometimes I feel really morbid, all my dwellers are suffering some kind of illness while I treat more water, yet I have people making babies in the next room. Also really weird All my children born in my vault have 1 or 2 fathers. So they are all going to be related but that’s future oversee’s issues. Serious major Pro-tip actually shut down the game when your going to be away for long periods of time. For some reason there have been some issues with this, the game is meant to know you have left the game and slow the rate of decay but isn’t doesn’t unless you fully close the app. I wish I googled and read some guides before I started playing this game, I have 6 dwellers ALL SICK, I don’t know if i can continue or should I just start a new game. but but I also spend money…. yes the game is free to play and yes you can completely play the game without spending a cent but I couldn’t help myself my peeps needed more. I’ve already lost 2 days of my life but this game is brilliant and I love it. Strength: Dwellers with high strength stats are best suited for work in power plants. Perception: Perceptive dwellers are best suited for work in water treatment plants. Endurance: Dwellers with high endurance are best suited for exploring the wasteland or for manning Nuka-Cola production plants. Intelligence: Intelligent dwellers are best suited for medical bays or science laboratory. Agility: Dwellers with high agility are best suited to work in restaurants. Luck: high luck means better ‘rush’ chances, and also gives you better items while out in the wasteland. Putting two of the same type of room next to each other will combine the rooms making them easier to manage and upgrade. Also I find upgrading works better then build 10 of the same room. Dress your dweller appropriately, or at least just dress them. I tried playing this game but I found it incredibly slow. Maybe I was doing something wrong, but I felt like I just never got any new dwellers, so I couldn’t really do anything!